At Harbour Village Beach Club, unforgettable experiences are enjoyed above and below the water. 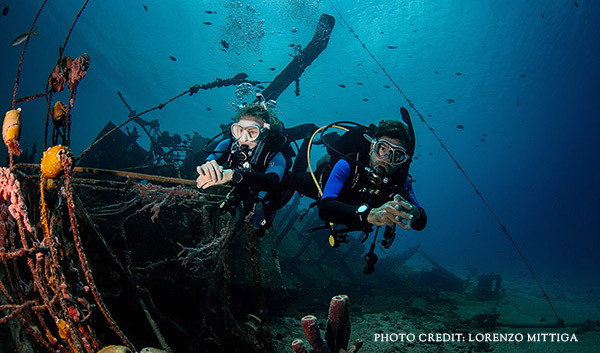 A top dive destination for over 20 years, Bonaire is home to 86 well-defined dive sites. Underwater adventures are just steps away with Great Adventures Bonaire, the on-site PADI five-star Instructor Development Center. Offering concierge diving service, instructional courses for all levels, a retail shop, full range of services and daily boat dives from the Harbour Village dock, it’s easy to arrange charter cruises, specialty courses, guided dives and kids dives too! 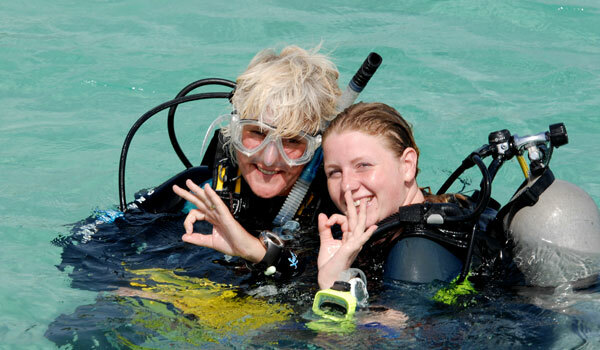 Included at no extra fee for every diver at Harbour Village diving with Great Adventures. 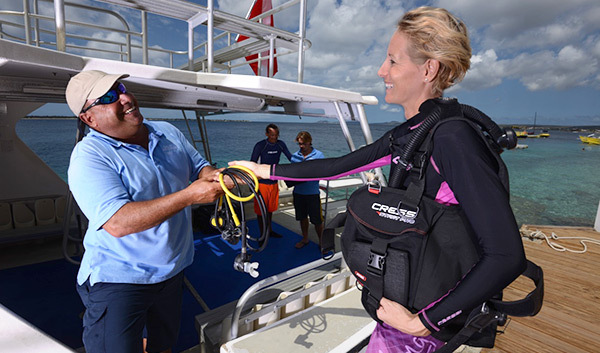 A personal dive concierge will take charge of guest equipment from check-in to check-out (preparing and loading equipment on boats, unloading equipment from boats, preparing and transporting equipment to the entrance for shore diving excursions off property, rinsing, storing and preparing equipment for travel). 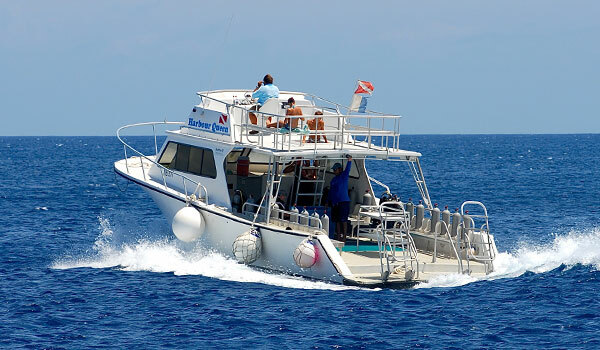 Great Adventures Bonaire offers daily boat dives that leave right from the hotel’s dock for guests who want to explore some of the 80+ dive sites around the island with a personalized touch. 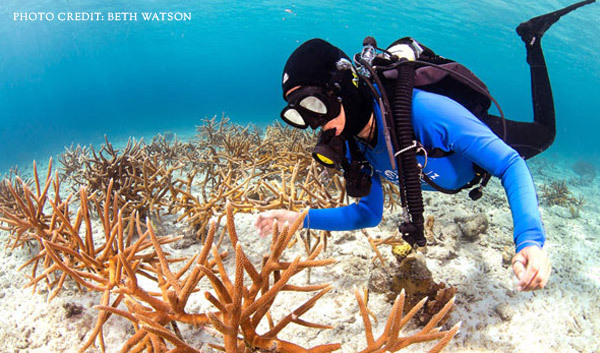 Kids Great Adventures offers beginner diving and snorkeling instruction, fish ID and snorkel logs, SASY (Supplied Air Snorkeling for Youth), photography adventures, coral conservation courses and more. - Rent a GoPro camera & capture every exciting moment of your vacation above and below the water! - Harbour Village guests may use the dive shop's kayaks and paddle boards free of charge between 8am and 5pm. Learn About Our Diving Policies. By completing the reading portion of your dive certification course before your stay, you will take a short exam and be ready for your water instruction when you arrive. Dive Bonaire's beautiful underwater landscapes in half the time! Please list Great Adventures sonaire as your dive instruction center. Begin your PADI instruction before you travel: Sign up for PADI eLearning now! Click to start the "e-learning" process at home!